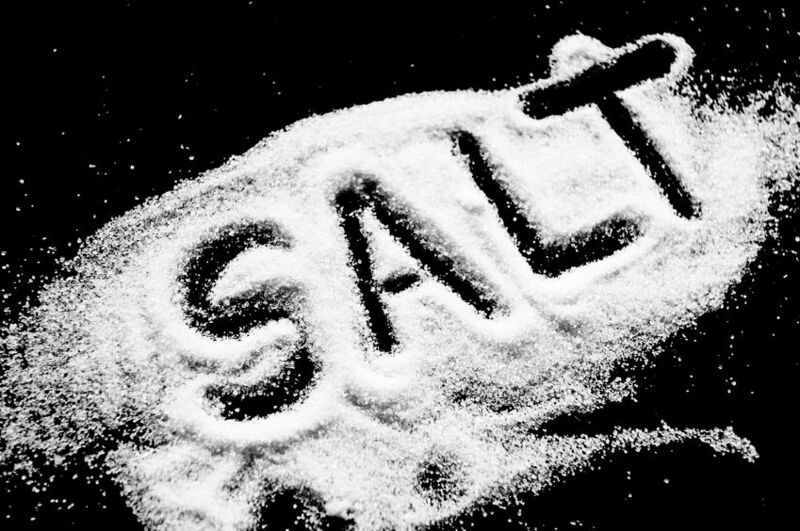 Health experts sometimes call it white poison, or white killer and you know that eating too much salt is unhealthy for you… But is it? Salt has all kinds of uses around the house! 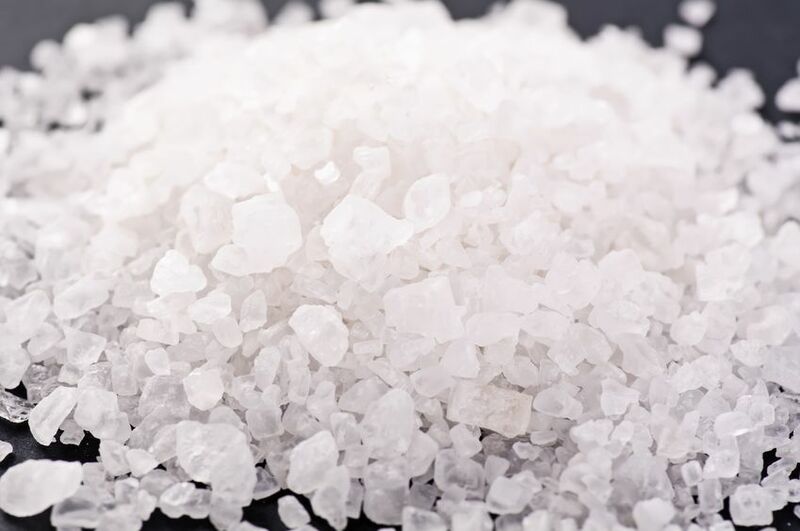 From the beauty routine to cleaning, salt can really come in help. Soak a cloth in one cup warm water that has a half teaspoon of salt dissolved in it to make a compress for tired eyes. 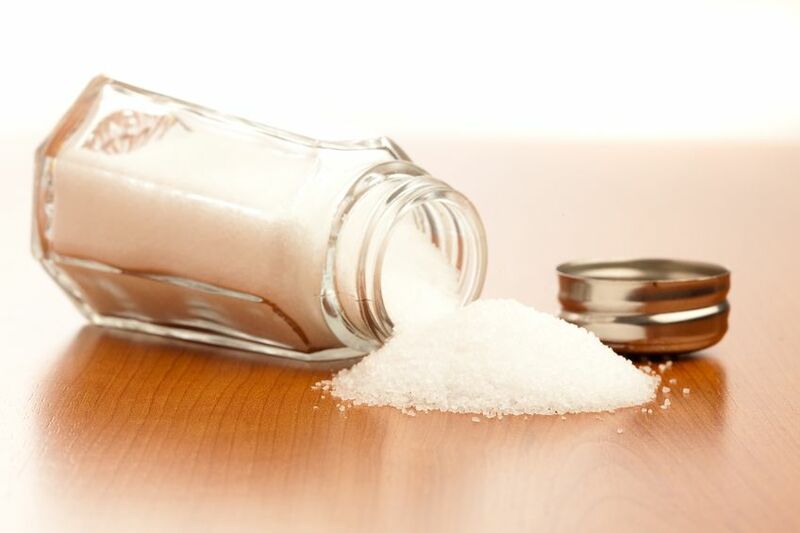 After a shower or bath, use plain old salt to slough off dead skin from your dry areas like your knees, elbows, feed or. Mix one part salt with one part olive oil and massage into your face and neck. Wash off with water and soap and admire your glowing skin. Combination of a coarse salt with a little bit of olive oil will do your favorite essential oils for a decadent salt scrub. A mixture of one part salt and two parts baking soda can not only whiten your teeth but help promote healthy gums by getting rid of built up plaque. This mixture is very abrasive for using daily, so do this treatment only occasionally. A couple of salt cups in the tub help relax your sore muscles. You can increase the ante by adding some soothing essential oils. Who needs dandruff shampoo packed with chemical? Before your next shower, massage your head with salt to remove those dead skin cells and then wash your hair with your usual shampoo. Check out the recipe for homemade bath bombs with Epsom salts instead of shelling out big bucks for all natural bath bombs. Combine one cup each of white flour, salt and white vinegar. After you scrub the brass with it, let it sit for 20 minutes, then wipe off with a damp cloth. Mix one cup salt with four cups alcohol to gently scrub grease out of carpets and rugs. Did you spill the glass of red all over the rug or tablecloth? Blot up what you can with a rag and then pour on the salt to soak up the remaining drops. When the salt is dry, rinse it with cold water and vacuum. Add a little bit of salt to light oil, such as sunflower oil and gently massage away those ugly white rings left from cold glasses. Soak the sponge in cold water with a handful of salt to prolong and extend its life. Is your iron a bit sticky? Sprinkle some salt onto a piece of paper and iron over it on low to clean it off. Non iodized salt is a great scrub for the inside of your fish tank. Just be sure to rinse it well before refilling. Do not forget to use non iodized salt. Are you noticing weeds popping up between your patio tiles? Pour salt into those crevices to keep them away naturally. Slice one lemon in half, sprinkle on some salt, and marvel at the grease cutting power. Is your favorite mug looking a little dirty? Rub the tea or coffee stains with salt to buff them away. Next time you clean out your fridge, use a mixture of seltzer and salt to scrub the inside. This scrub will remove grease and stains and cut odors at the same time. Pour one cup salt and one half cups boiling water down the kitchen sink for busting up small clogs and busting odors. You can use the half lemon for greasy pans to clean your cutting board. To make your silverware shiny again scrub with a dry rag and salt.